Notaries have a great deal of authority and legal responsibility. They must perform their duties ethically and within legal, state, and federal regulations. If a notary fails to perform his or her job legally and ethically, it can result in financial damages for someone who retained the notary’s services. Most states require notaries to obtain a notary bond before they can notarize any documentation officially. A notary bond is a guarantee that the notary will perform his or her duties in accordance with the law and protect clients in the event that the notary’s error causes financial damage. Due to the nature of notaries’ work, notary bonds are usually a legal requirement. The notary bond serves a dual purpose – a guarantee that the notary will fulfill his or her duties within the letter of the law, and the second is to ensure that anyone harmed by notarial errors has the ability to claim compensation for damages. Individuals who seek the services of a notary receive additional security that their notaries will handle their transactions legally and carefully. A notary bond helps ensure that the notary performs duties legally, ethically, and with minimal room for error. 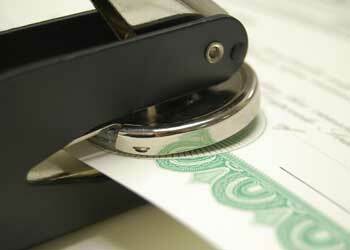 Any error on a notarized document can be disastrous, and notary bonds help to limit their occurrence. Anyone who suffers damages due to fraudulent, unethical, or erroneous notarization will be able to claim damages up to the amount of the bond. The notary would then be responsible for paying that amount to the bonding company. A notary is able to purchase errors and omissions insurance to protect him or herself in the event of honest (although negligent) errors. A notary typically buys errors and omissions insurance along with the notary bond, protecting the notary and his or her clients. Everyone makes mistakes from time to time, but the nature of notary work demands that extra steps be taken to prevent them. If you have questions regarding notary bonds, feel free to contact Smith Bond and Surety for a consultation.